it's a great hostel. great staffs, clean, great rooms, simply perfekt. who in floripe is should stay here! 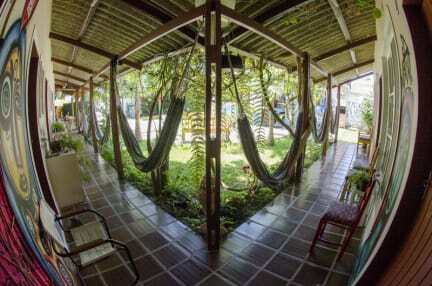 One of the best hostels i've been so far, great stuff, you feel like you are part of the family. 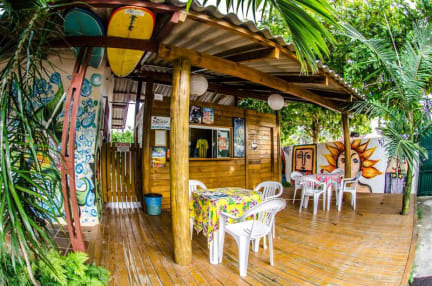 If you like surfing or just spend some nice time next to the beach go there! Super Hostel kann ich nur weiter empfehlen! It is very close to the beach. Staff is great! They organised a trip to lagoinha do leste and we went out together to a bar with live music. You can get a delicious caipi for R$ 5. But they do not offer breakfast..
Super schönes Hostel mit tolöer Atmosphäre direkt am Strand. Nur die Sauberkeit der Zimmer ist nicht ganz optimal! Staff super friendly but pretty lazy. Having a few "Please do your dishes" signs in the kitchen but left their stuff uncleaned. Kitchen very dirty. 2 min. walk to the beach.